Today I am excited to introduce you to Christiane and Oliver Hampel‘s adventures in paper. Christiane and Oliver were born in Germany. They are artists and award winning jewelers who believe that a card of three dimensional expressions can say more than words alone can express. 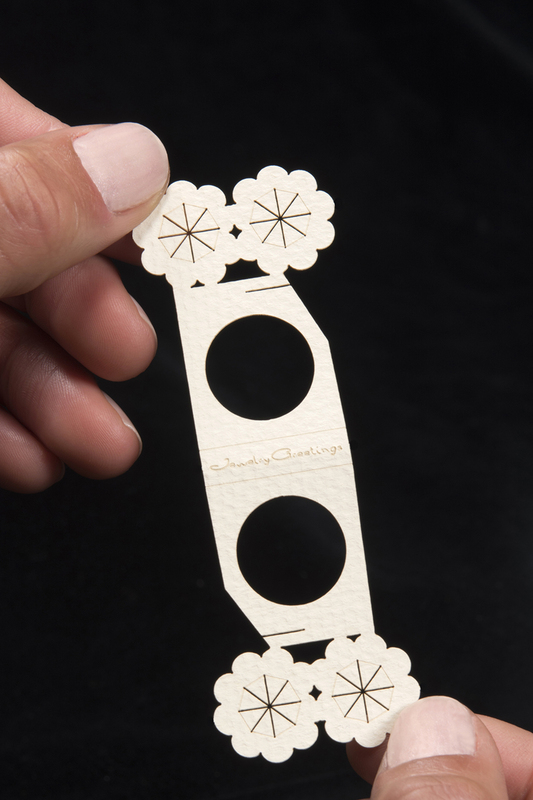 The artists have expanded their love of jewelry to offer a wearable Jewelry Greetings card as a way of connecting sender and receiver. 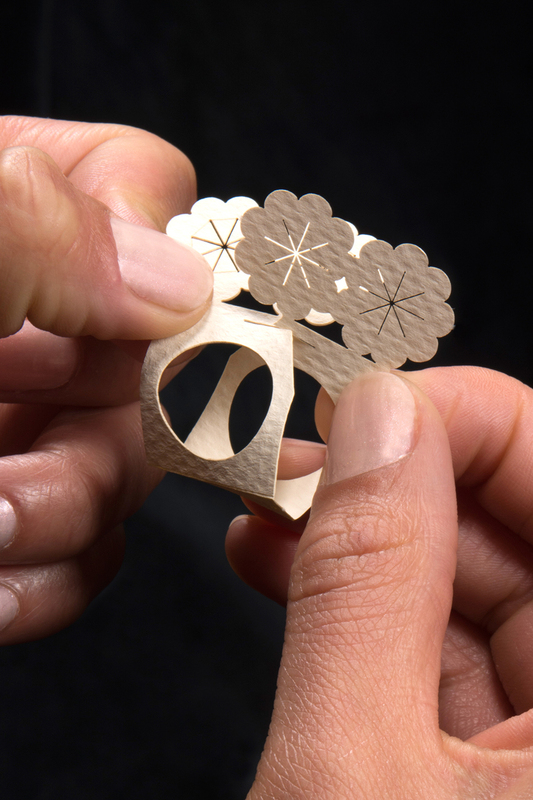 Jewelry Greetings are paper greeting cards that fold into three dimensional wearable rings. With these cards you can deliver your message in a unique and engaging fashion. Keeping with the tradition of meaningful mailed greeting cards, your friends and loved ones will be reminded of you every time they look at their hands and see your thoughtful gift. Jewelry Greetings are a keepsake your recipient will cherish long beyond the day it’s received. Jewelry Greetings are not available for purchase yet, but you can pre-order them. To see all the designs available you can visit www.jewelrygreetings.com. You can also like the Jewelry Greetings Facebook page for updates. This is so clever, beautiful and unique. I love it! Jewelry Greetings is now life on Kickstarter! Bags received good quality, meticulous workmanship, real leather, very like the bag received, the quality is really very good, I like, like this one. Bags received, quality workmanship is very good, genuine, very satisfied, like the bag received, fine workmanship, generous, good packaging, bags received basic satisfaction, exquisite workmanship, soft, beautiful style, very like. Bags received, good quality, and I take very, very atmospheric, I liked very much the bag received the same description with the seller of logistics is to force recommended thank sell bags received very good, very good quality, style is also good workmanship is very fine.